I live in North Dakota. 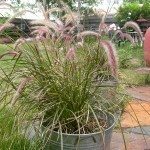 I have purple fountain grass in a (movable) planter. Is there a way to winter this plant so it comes back next spring? 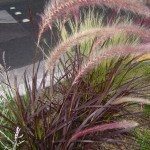 Unless you have a cold-hardy variety, it is very difficult to successfully overwinter these plants. However, since yours is in a pot, you can try bringing it in the house. Clip the foliage down to about 3 inches from the top of the pot and stick it in a sunny window in a cool room. Keep it moist, (but not wet) because it can die very easily from drying out. It will revert to green coloration and won't look like much for the winter, but when it goes back outside in the spring, it should come back.